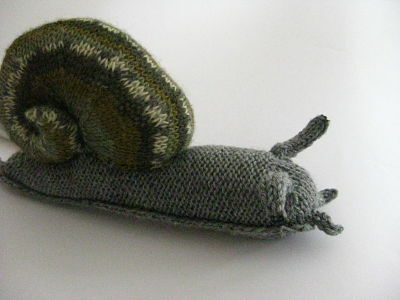 This knitted snail was knitted by my mum for my Joe on his 2nd birthday. It is knitted using leftover sock yarn. I just adore his shell! Bubba Joe adores his snail too!